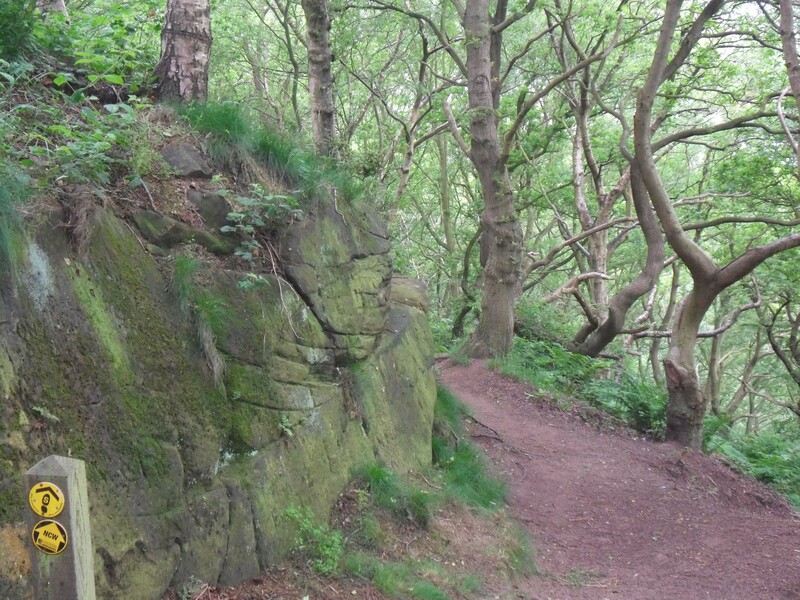 THE SANDSTONE TRAIL – a hidden gem. Day1. 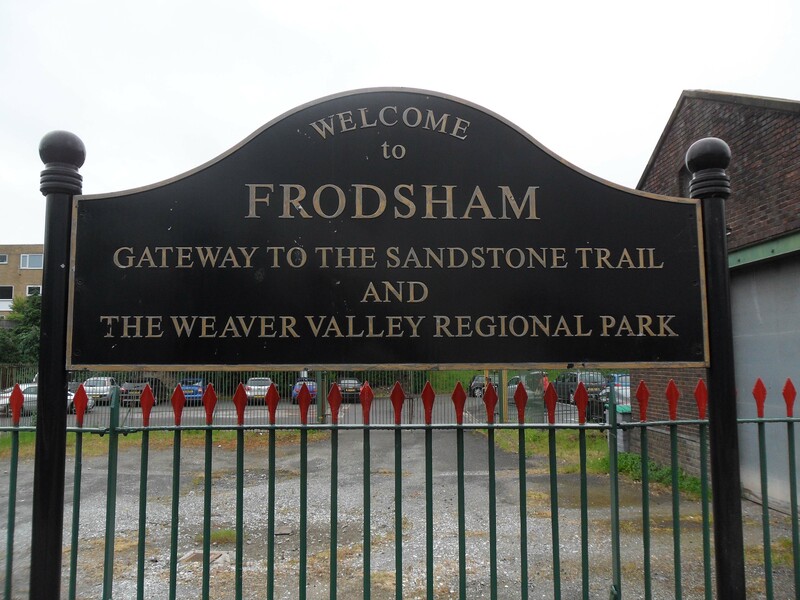 The Sandstone Trail is a 34mile/55K walk along a ridge of sandstone from Frodsham to Whitchurch. That statement really doesn’t do this distance walk justice. I have just returned from two and a half days glorious and varied walking – one of the best short routes I’ve experienced in England. 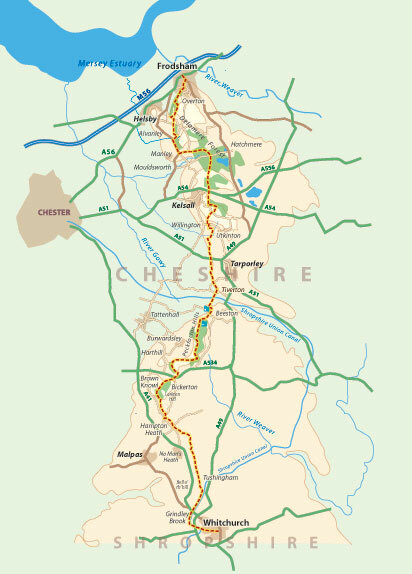 There is good transport to either end; there are excellent friendly pubs, cafes and b&bs along the way; the waymarking faultless; the varied scenery and walking underfoot superb. Used all my hyperbole in one sentence! Just go and see for yourself. 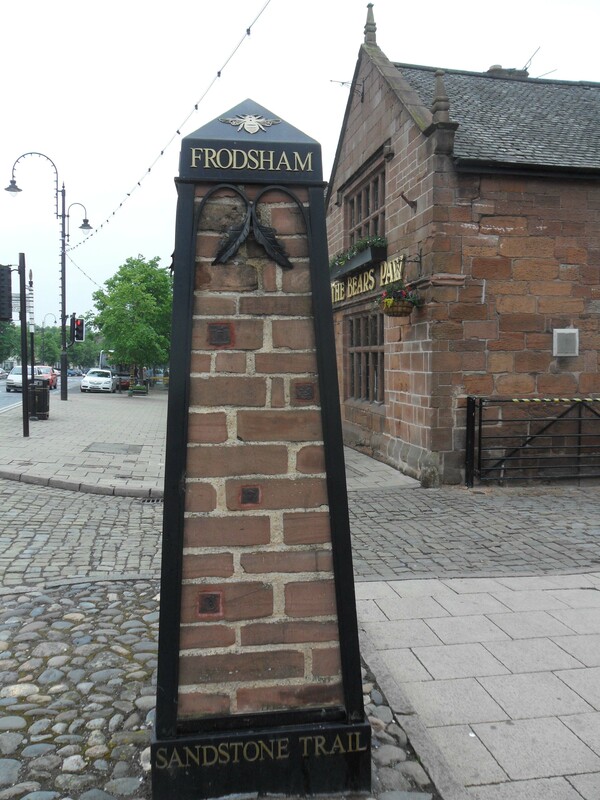 After two weeks of dry sunny weather the forecast was not good and as my train arrived in Frodsham the rain had just stopped. I’d traveled via Warrington where I was given a chocolate bar to warn of service disruptions in the near future. A unique gesture – which I’ve eaten. I knew I was in the right place when I alighted from the train …. 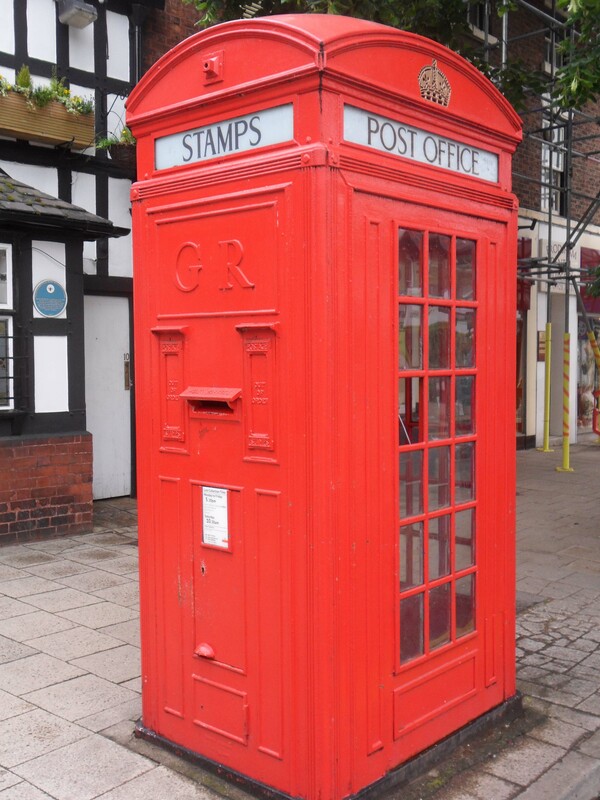 ….and wandering through the town came across this unusual phone/stamp/posting box. 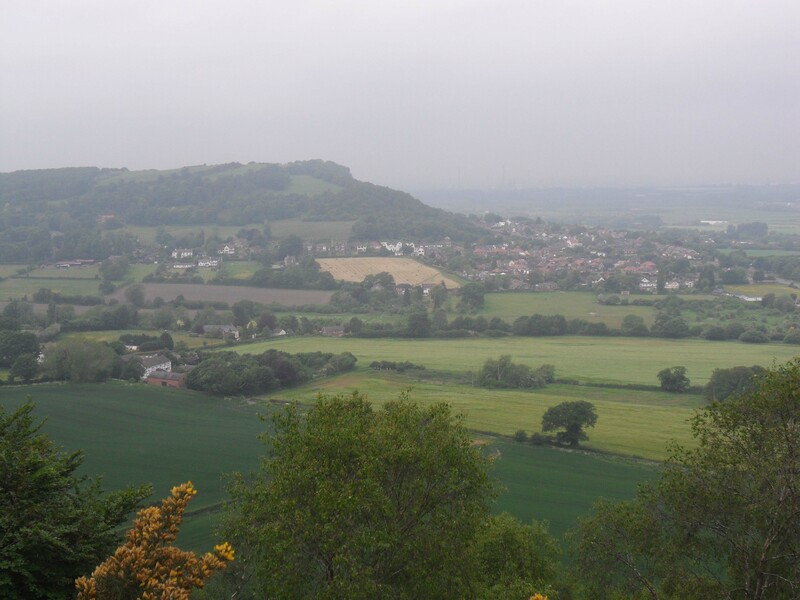 Dull weather accompanied me up onto a morning’s invigorating 5mile walk along the sandstone ridge. Notice the distinctive yellow footprint waymark logo. 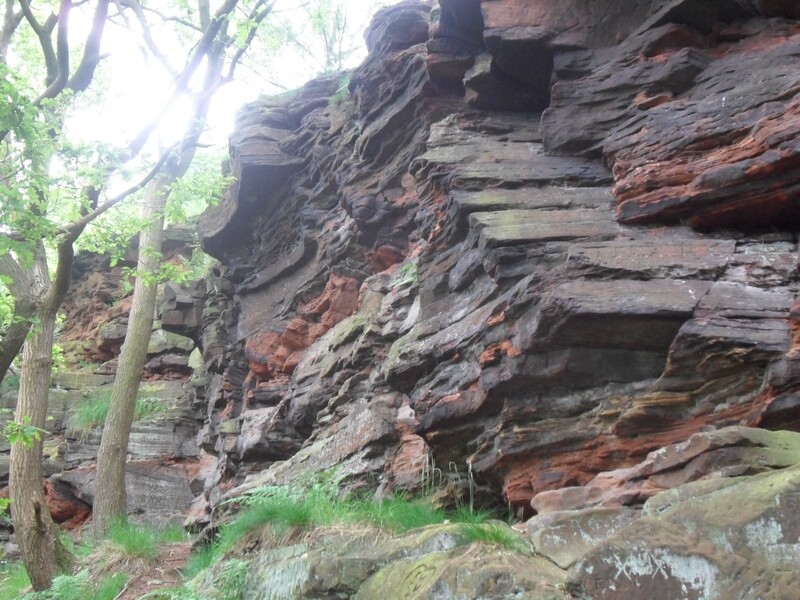 This wooded escarpment is composed of sandstone with several lines of rusty red outcrop cliffs giving views over the Wirral on a good day. Coming off the escarpment I was pleasantly surprised to come across a cafe at Manley. 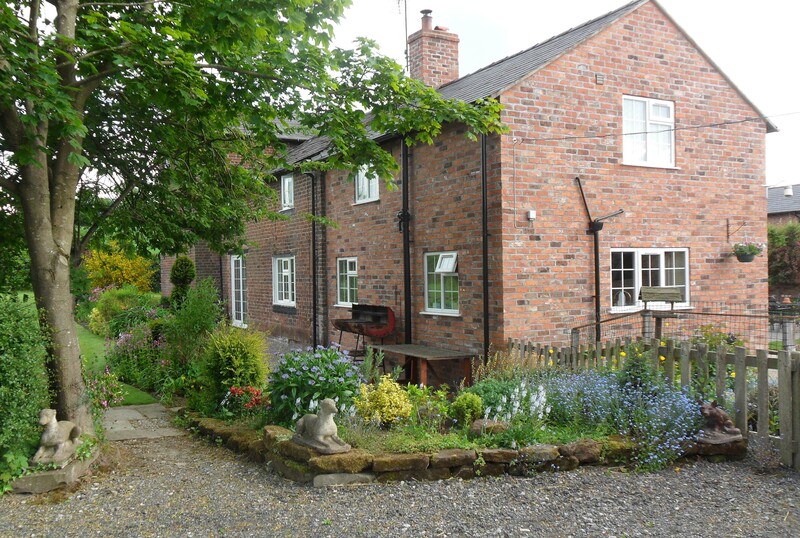 This is Stonehouse Farm [b&b] which has been in the same family for 6 generations. As all the seating was outside I was glad that it was dry, even if a little chilly. Soup and coffee were great, I passed on the scones [see later]. 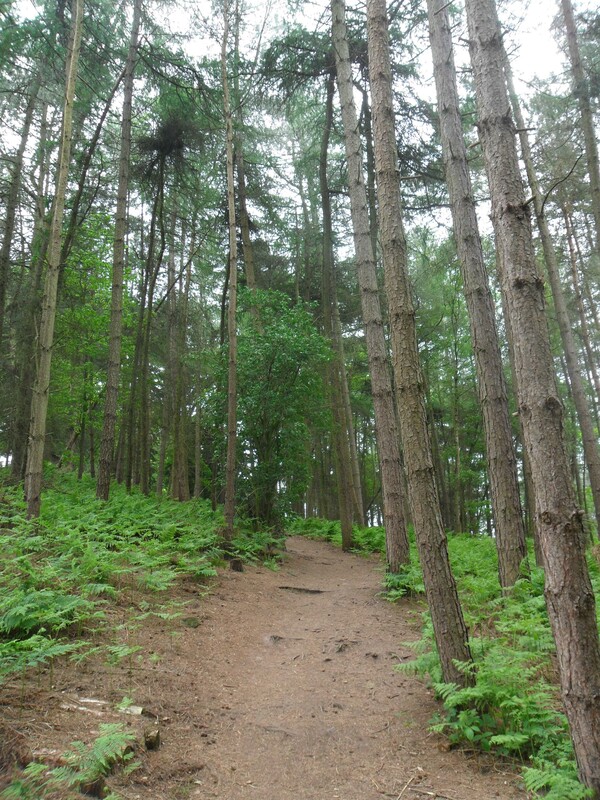 This was followed by different walking through the vast Delamere Forest. 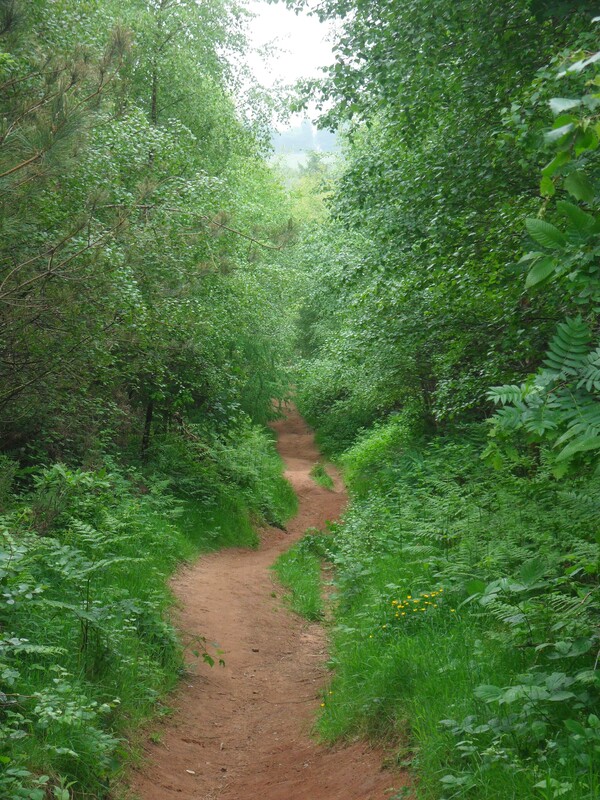 There is a maze of tracks in here, all well signed for walkers and cyclists. 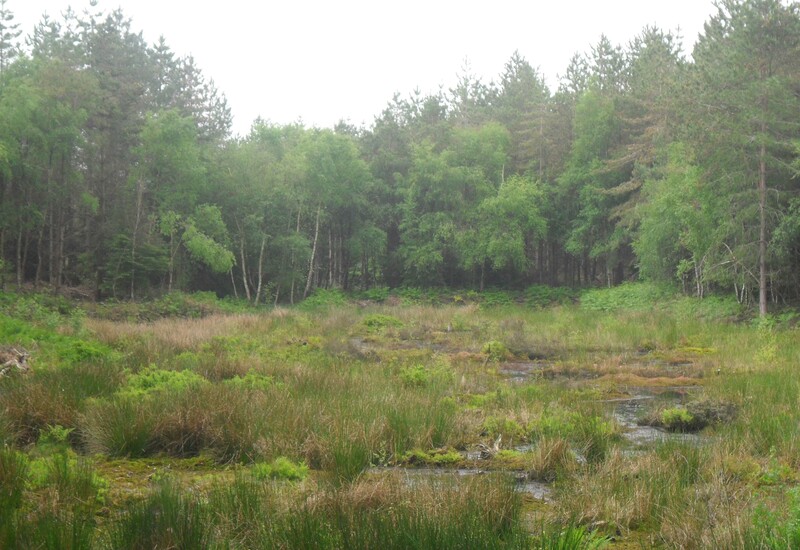 The tree population is varied with mixed conifer and deciduous and areas of undrained ‘meres’ giving further habitat diversity. Good walking took me back up onto the ridge continuation for three or four miles. Couldn’t help but come across another wayside cafe with friendly staff. Felt I had to support them with a minor purchase of tea and scones. They were telling me of being cut off for a week in the snow storms at the end of April, the cafe can only be reached by very minor steep roads. Nevertheless today it had a steady stream of regulars. What would the British countryside be without these simple institutions? Happy to give them a plug. 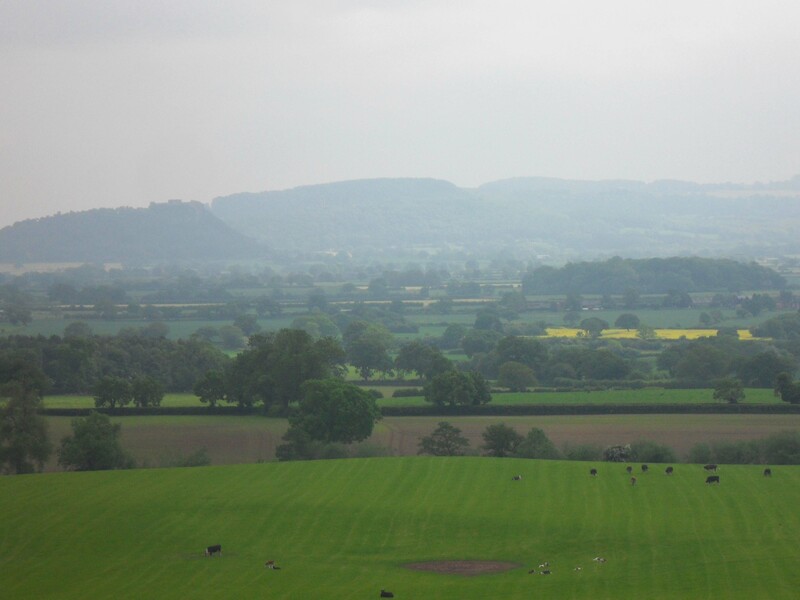 By now the day had brightened up and there was some warmth from the afternoon sun making the last 4 miles or so a delight, with views to the Clwydian range of hills in North Wales. A feature of the whole walk was the ever present crying of Buzzards circling overhead. Hopefully this gives some indication of a healthy population of these majestic birds. 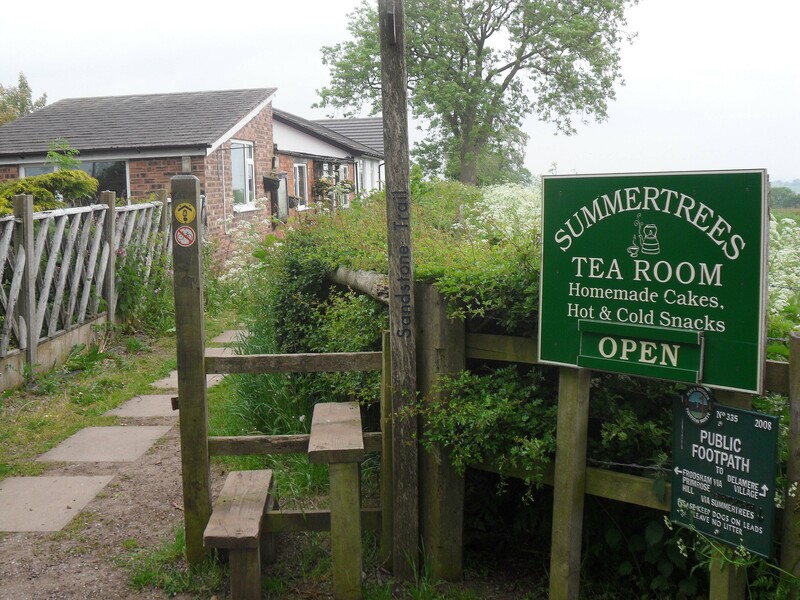 My accommodation for the night was a beautiful old Cheshire farmhouse, just off route, and well used by walkers. Neighbouring properties were more along the lines of those seen in Cheshire Life and costing the earth. As a measure of the wealth I noticed a Lamborghini, a Ferrari and a Porsche all in one drive, I kid you not. 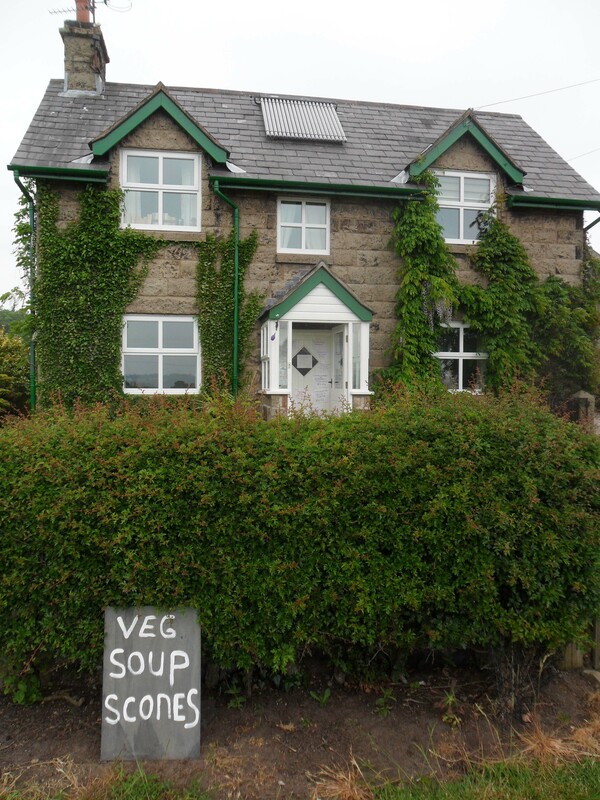 My more humble working farm turned out to be an excellent b&b and I was well looked after. 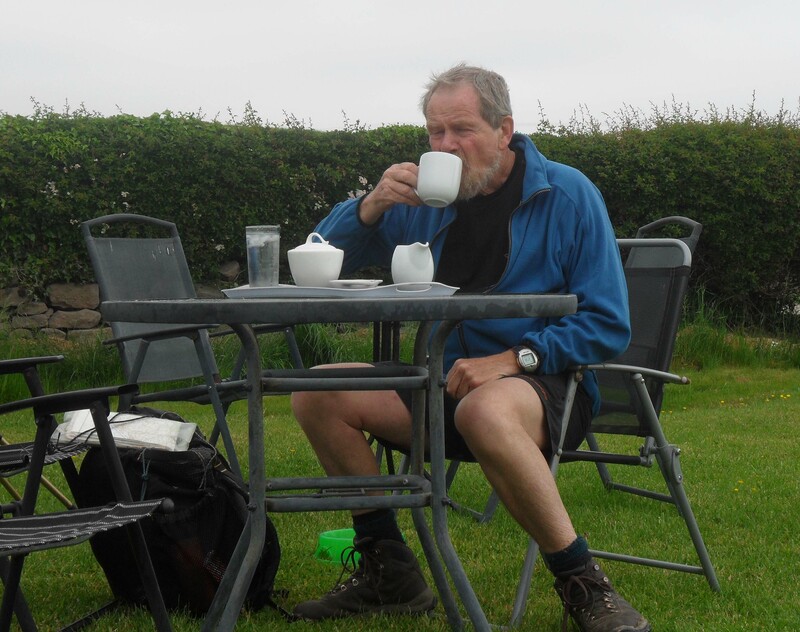 Didn’t need to go out at night as I still had my lunch left over – made redundant with the day’s two cafe stops! 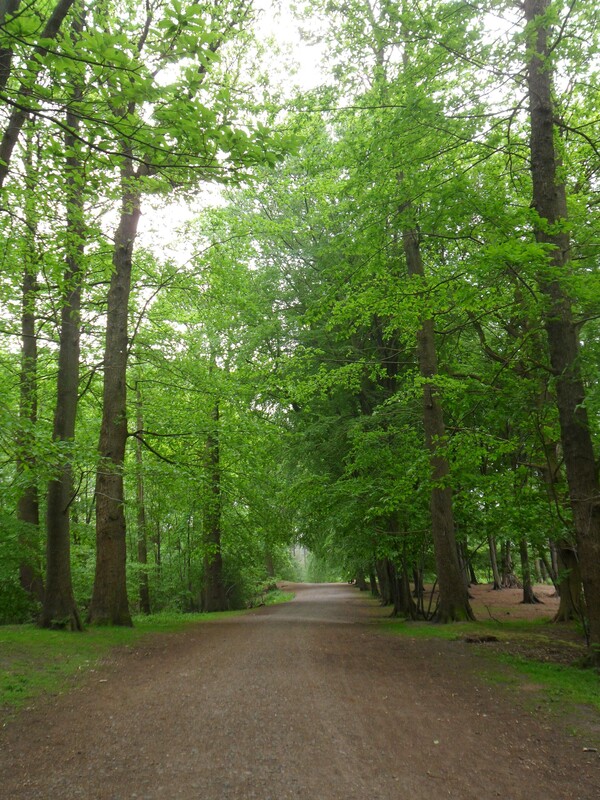 This entry was posted in Long Distance Walks., Walking. 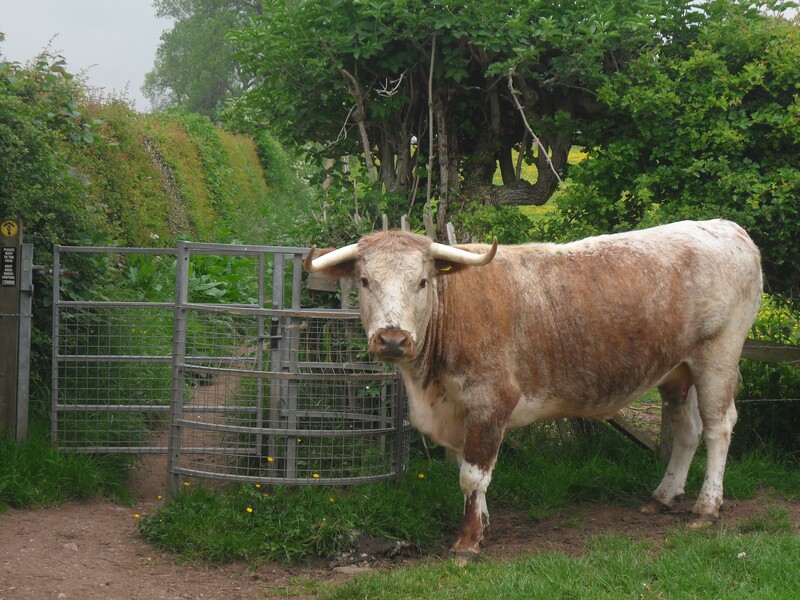 and tagged Long Distance Walks, Sandstone Trail, Walking. on June 14, 2013 by bowlandclimber. That sounds like my kind of walk. No need to carry a big pack. Might give it a try. I’m in need of some therapy after all the Picasa drama.